At PurpleMartinPlace.com, we respect your privacy and value your trust. We are dedicated to being the best source for purple martin houses, gourds, purple martin themed gifts, art and more. We are dedicated to the safety of your personal information. We will NEVER sell or give out your email or any information to any other parties. NO credit card information is stored on our computer. Our website uses PayPal as its credit card processor and they use a secure server which keeps your transactions completely confidential. 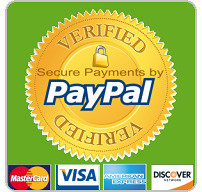 You do NOT need a PayPal account to buy from our site. Your information and identity are completely protected by a SSL server. SSL stands for Secure Sockets Layer and is the leading encryption technology used on the internet, designed to prevent the interception of your private information sent over the internet or a computer network. When you are checking out you will notice that you are transferred to PayPal to complete payment. The URL of the page you are viewing changes to a SSL server. The Url will change from http to https meaning your transaction is now secure. You can also verify this by looking at the bottom right corner of your browser when checking out. Most browsers, such as Internet Explorer, Netscape, Firefox, Mozilla and Aol, indicate the security status by displaying a lock or a key at the bottom corner of the browser. Look for this yellow lock, it means the page is secure. 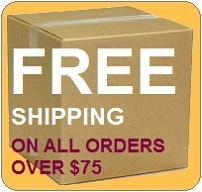 If you would rather place your order by phone please call us or email a phone number that you want us to call you at. We are happy to help you. The links that we have on our web site are for your information. They are not affiliated with us so we may or may not agree with their content..